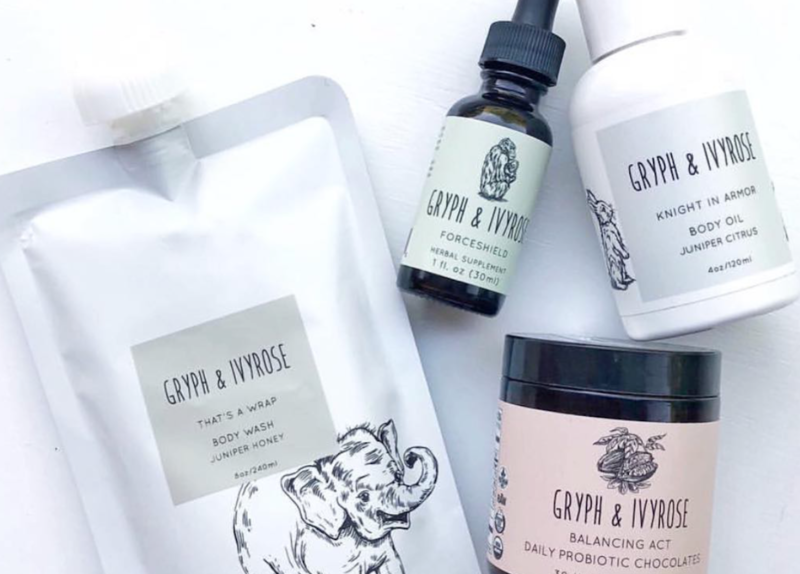 We are in love with this new Wellness and Lifestyle Organic Children Brand, Gryph and IvyRose. From its smart range of products (from body care to vitamins supplements) to their whimsical packaging design. 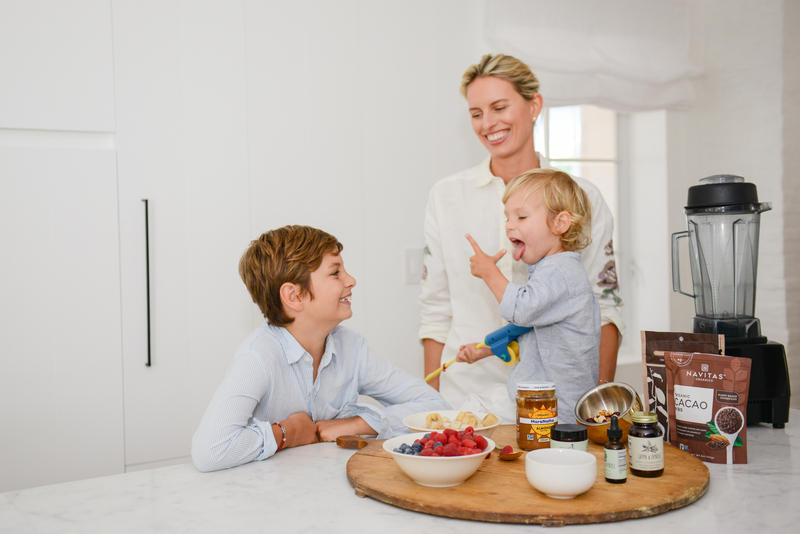 Read our interview with co-founder, supermodel and previously interviewed Romy and the Bunnies Mommy, Karolina Kurkova. How did you came up with this children skincare line? Like most children’s products it was really created out of necessity. Through a combination of my partner and I’s individual experiences with our children – we all sought out alternative treatment methods like acupuncture and herbal supplements and saw incredible results. Its was a little bit fate that we were all brought together at the same time, with children around the same ages with a real passion for wellness and an urge to share this knowledge and these tools with other parents. They are – and people do their research! We took extreme care in crafting our product formulations, together with a board certified pediatrician and an acupuncturist to make sure they were safe and effective. We chose manufacturing partners that follow GMP (good manufacturing processes) and go above and beyond what is expected in terms of compliance. We also have third party tested our products as another safeguard. Additionally, as partners we are all parents and so the products had to first pass our strict guidelines as something we would use on our own children and feel comfortable recommending with total confidence to our friends and families. What distinct you from the other organic brands for children? We like to say that we address the child as a whole, from the inside out. So we’re not just a topical personal care brand, we’re really teaching our kids about an alternative lifestyle with natural tools they can turn to throughout their entire lives as a first line of defense. Our goal for the line wasn’t to just be Organic. That’s a great barometer in certain instances but we also evaluated each and every ingredient based on it’s individual merits. So while we use the highest quality ingredients, we also introduce a whole category of plants and herbs that have a real function in the body. I love the name, it sounds like a Children’s story book. What’s the story behind? Funny you should mention the children’s book – stay tuned on that! But the name comes from a combination of my partners children’s names; Gryphon/Persephone Rose/Ivy/Della Rose. Which one is your favorite product? And which one is your sons? My favorite is the body oil. It’s a great size to carry around and I love it for my body and face, especially the subtle natural fragrance. My older son’s favorite is the Shampoo/Conditioner. For my two year old it’s definitely the chocolate probiotics. He can’t get enough and I don’t mind because I know he’s getting amazing benefits from a super healthy treat.